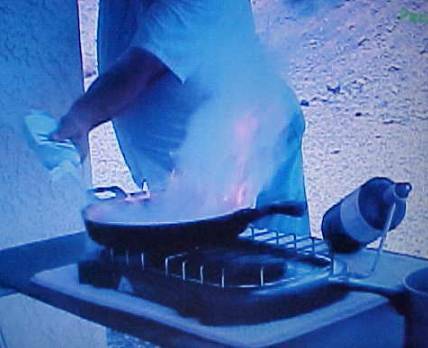 "Fire Out" Have a Safer Kitchen, RV etc. 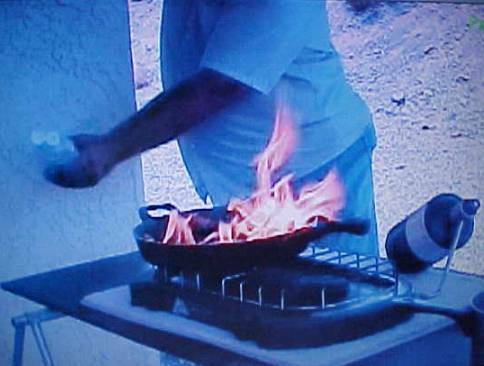 Use “FIRE OUT” in Your Kitchen, Car, RV, Boat, Motorcycle etc. Fire Out is a UL-Listed, Nontoxic and Noncaustic Fire Extinguishing Agent! Multiple Uses without Recharging ! 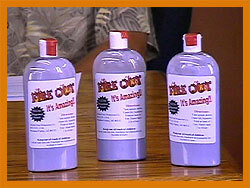 Watch These Videos of the 3 Fires Above Plus One Other All Extinguished Using a Single Bottle !! This is a new Fire Extinguishing device, that you have more control of, as well as several uses per bottle. You only use what you need for a fire and it does not have to be recharged or serviced. 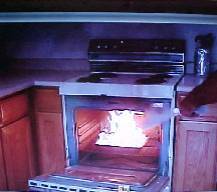 It is recommended that fire out be replaced at 1/4-1/3 original level. The extinguishing agent in Fire Out is a UL approved extinguishing Siliconized powder, that has been tested by Allied Fire Protection Company for 10 years. 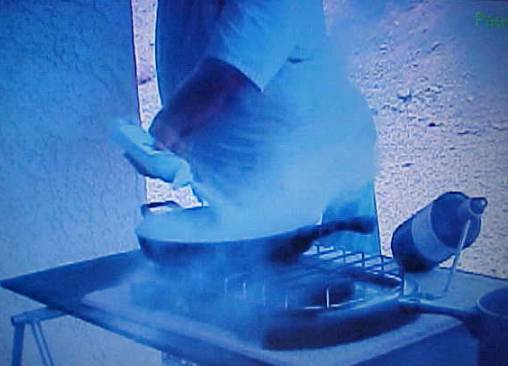 The siliconized powder in Fire Out is non toxic, non caustic, and cleanup is very minimal. Contents: Dry chemicals, HMIS 1-0-0 muscovite silicate, Calcium bicarbonate, Potassium Bicarbonate. Store in dry place, out of fire range. When Fire out is put in desired location for fire emergency, remove red seal. At time of use shake well 4-5 times, open snap top, and aim at base of fire as you are squeezing the mid section of the bottle. 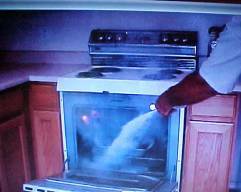 If fire is not extinguished with one shot, repeat procedure until fire is fully extinguished. 1-2 oz's of Fire Out is expelled with every squeeze, usually enough to put out a fire with 1-3 squeezes. The level of the product in your Fire Out bottle allows for air to float the particles in the bottle, to allow the proper projection of Fire Out in a direct application to the base of the Fire. Military Facilities, Oil Refineries, Airport Ramps, Service Stations and Fuel Transfer Areas and Restaurant Kitchens Across the Country.